Photo Faculty and cutting-edge educator, Peter Sramek, is directing Project 31’s auction proceeds from his work to student travel for the Photography International Collaboration Studio. 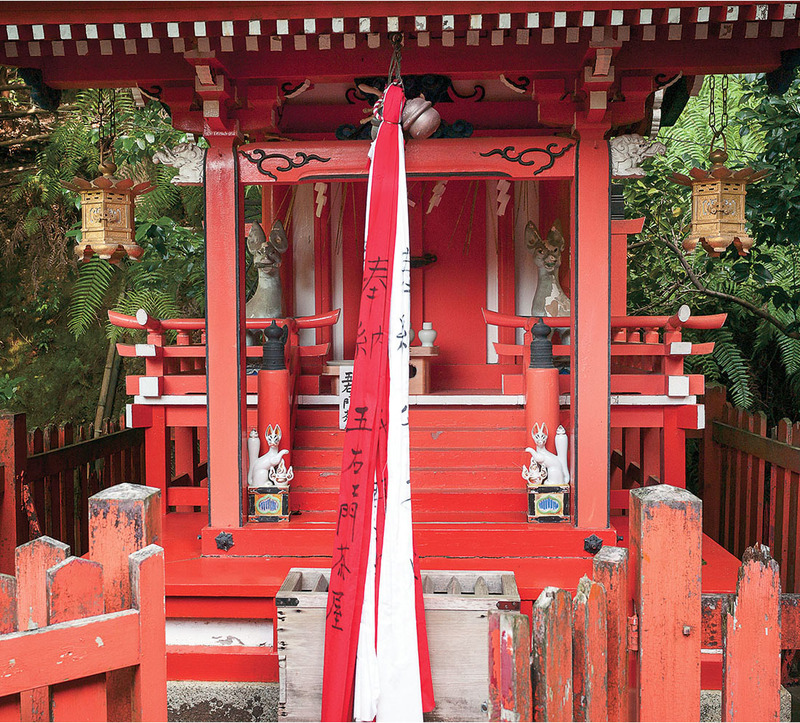 As the deity of foxes as well as agriculture, fertility, prosperity and success, Inari shrines are important Shinto sites which are found throughout Japan. This particular shrine is part of the Otoyo-jinja which is dedicated to various animal deities especially mice. The shrine is located on the eastern ridge overlooking Kyoto among the shrines and temples found along the Philosopher’s Walk. Not seen in this view are the beautiful stone animal carvings which ank the individual shrines. This photograph was made when leading a group of OCAD U students to Japan for an exhibition at the Osaka University of Arts. Peter has taught photography at OCAD since 1976 during which time he has also taken on a number of roles in Faculty of Art including Acting Dean of Faculty of Art, Chair of Photography and of Cross-Disciplinary Art Practices, as well as a Co-ordinator for the Florence Off-Campus Studies Program for multiple sessions. He is currently the Chair of the Mobility Exchange/Advisory Committee and is leading the development of the International Art Collaborations network (INTAC). A founding member of Gallery 44 Centre for Contemporary Photography, Peter carries on an active practice in both photography and book arts which encompasses film-based and digital. View more of Peter’s artwork on LensCulture. The live auction is happening TONIGHT! Reception & Silent Auction: 6 p.m., Live Auction: 7:30 p.m.